Yuzuko Aihara, a high school girl whose main interests are fashion, friends, and having fun, is about to get a reality check. 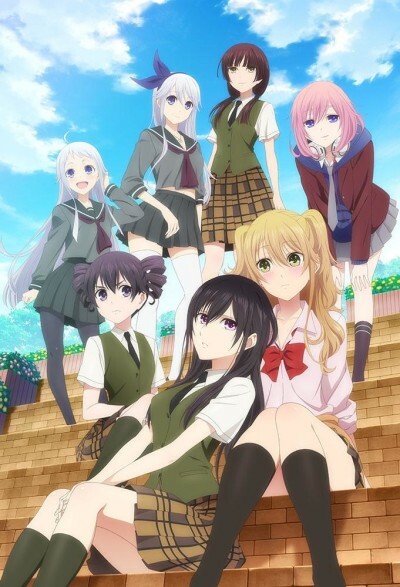 Due to her mom's remarriage, Yuzu has transferred to a new all-girls school that is extremely strict. Her real education is about to begin. From day one, happy-go-lucky Yuzu makes enemies, namely the beautiful yet stern Student Council President Mei. So what happens when a dejected Yuzu returns home and discovers the shock of her life: that Mei is actually her new stepsister who has come to live with her? Even more surprising, when Mei catches Yuzu off guard and kisses her out of the blue, what does it all mean? Episode 1 - love affair!? Episode 3 - sisterly love? Episode 4 - love me do! A flawed, but well-made story with a lot more to offer than what the surface may imply. Something that people think strange yet sometimes becomes something which you can also enjoy.